Match-Ride Rescue is a side-scrolling arcade game. 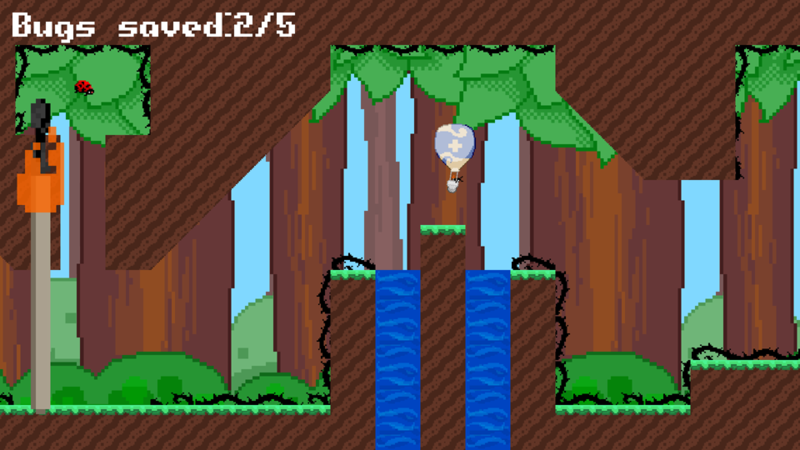 You play as an insect rescue ranger named Wick and bravely pilot a tiny match-powered hot-air balloon. 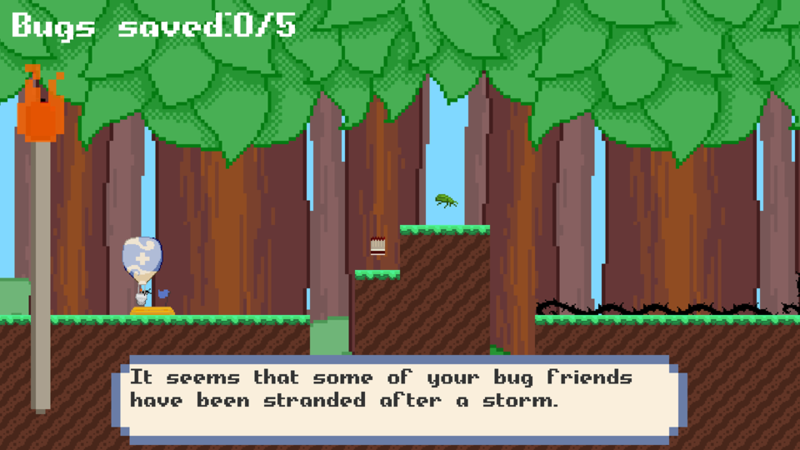 Your goal is to save other bugs from a flood. You adventure through a forest, avoiding thorns, water droplets, and other obstacles. 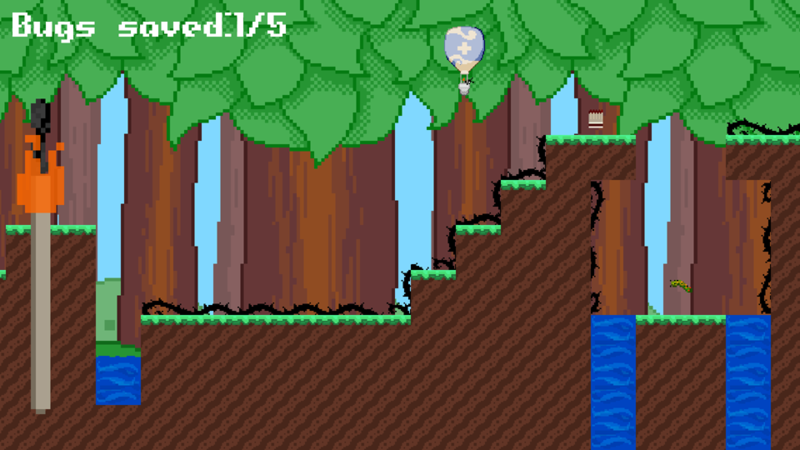 You must conserve the balloon's fuel to successfully traverse the landscape, collecting matches to refuel. Drifting above pools of water and riding through gusts of wind, you must save all the bugs you can and deliver them to safety. Press "R" to quit to the main menu at any time during gameplay. Match-Ride Rescue is an official Dreamhack Atlanta 2018 Student Game Showcase Selection! Download and unzip the folder and run the .exe file to play the game. Check out the ReadMe file in the .zip for more info. Make sure to configure your resolution and window preferences in the Unity launcher! Right On! Some smooth controls that provided a small learning curve to feel like a challenge, then totally usable for entire level. Really like the artwork and it was nice that the walls didn't kill you. Just slowed you down. You even got some nice music, main menu, and parallax scroll. Great Job! Thank you for the feedback! We're glad you enjoyed the game! Nice game - really like the physics and feel of the balloon. Difficulty seems about right for an intro - I want more levels! Glad to hear you enjoyed the game! More levels will be coming soon in the future and we will post updates when they are live! Loved the game! really great job with bringing all the parts together. the music and sfx feel create a really cohesive and enjoyable experience. I felt the level was a little too hard... would be good for a second or third level, but otherwise was solid. Great work! Thank you for your feedback! We will look into reducing the difficulty of this level. We will look into reducing the difficulty of the first level. 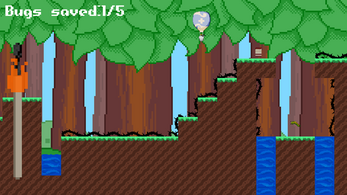 Because our team didn't have time to implement more than one level, we wanted to try to make the first one quite challenging, but may have overstepped. Thank you for your feedback!